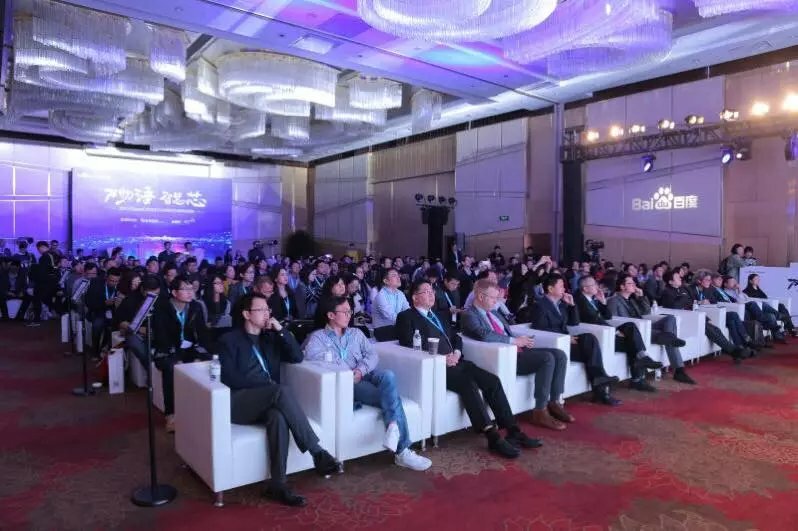 On March 30, Baidu Duer OS wisdom chip strategic cooperation conference was successfully held in Shanghai , At the meeting, Baidu released DuerOS wisdom chip, and with TSINGHUA UNIGROUP, ARM, Shanghai High Flying reached a strategic cooperation. 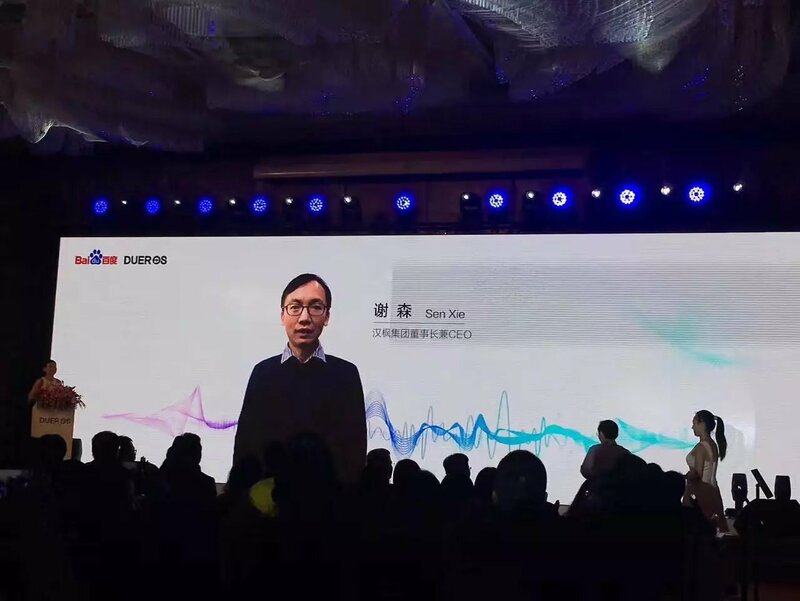 Shanghai High Flying CEO Sen Xie launched the new super Wi-Fi&BT Combo module HF-LPB200U for audio market at the meeting. 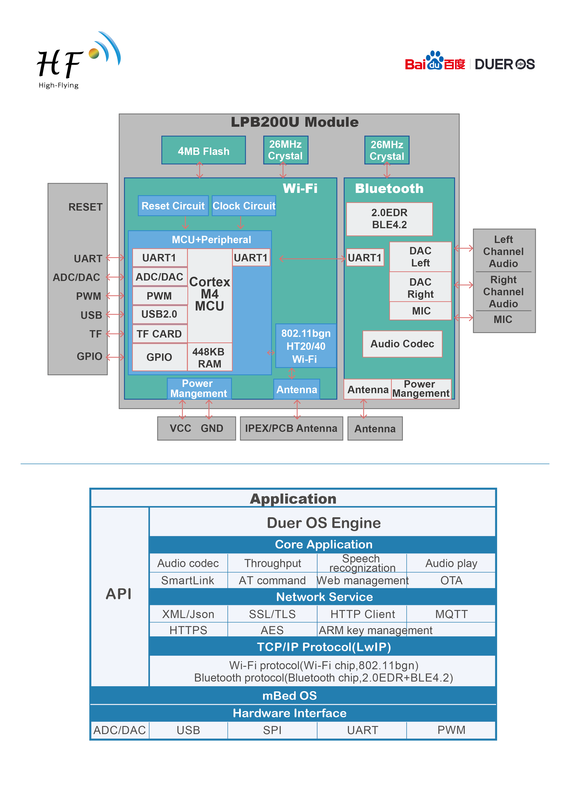 HF-LPB200U with the support of DuerOS A.I., the module can understand user intent and chat. Even play network resources such as Baidu Music and ximalaya. ² Support Smartlink, WeChat Airkiss and Audio Config Function.